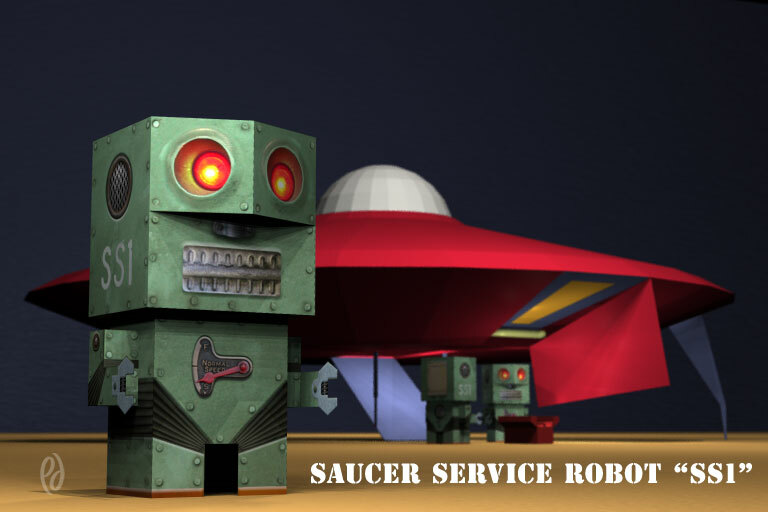 Robot SS1 is a saucer service bot. He is a loyal and tireless worker. SS1 is also extremely strong and virtually indestructible. It’s a good thing robots never go bad!